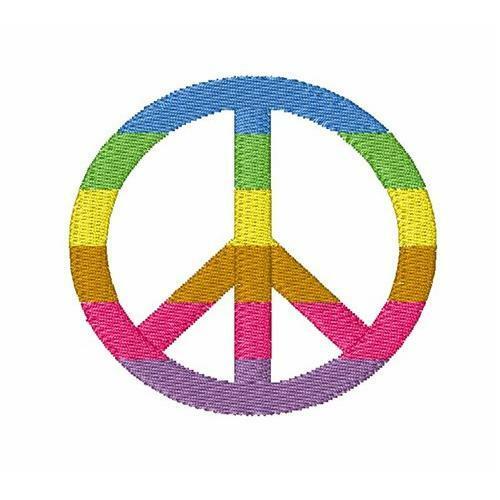 What a wonderful rainbow colored peace symbol. Add this pretty design to a tank, t-shirt, cap, almost anything! Finish Size 2.37" x 2.35"